for a price of under 11,000 dollars. As you can see it is similar to the Sinner Mango and the Strada, but has a contoured front end and a roof/windscreen setup that can be taken down and stored in the vehicle. 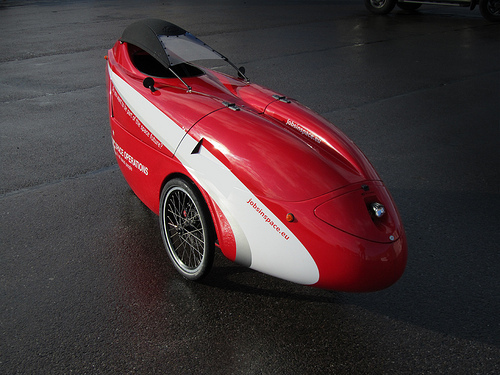 The Sunrider comes with a full suspension, dual front disk brakes instead of drums, mirrors and lights. The Sunrider also has an opening canopy that provides for easy access.